I hope you and the trustees are all well. 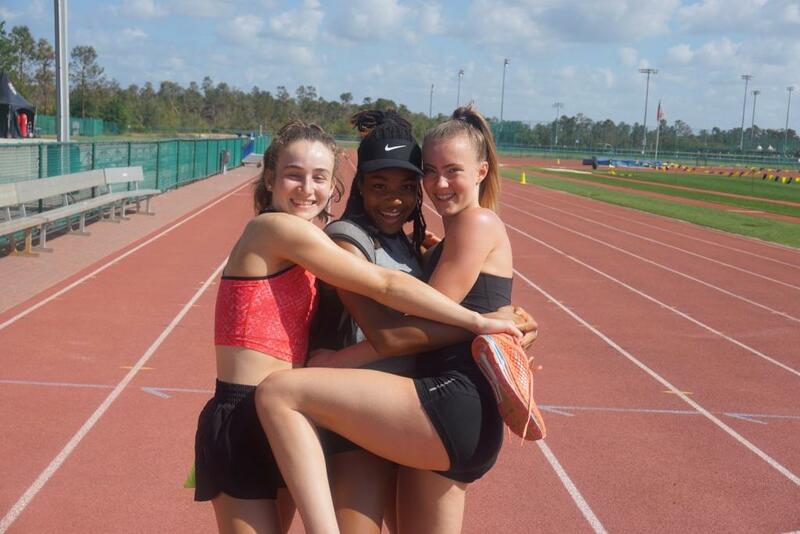 I am just writing to let you know that I have been selected for the British Junior team to compete at the Loughborough International this weekend. It is my first Junior GB vest and it will be such an honour to wear it. I will be competing in the 200m and am also in the 4x100m relay team. Thank you for your ongoing support. It has made all the difference and I am really excited about my season ahead. I hope you are all well. I would just like to thank you so much for the grant given to me in order to help with warm weather training. I had a fantastic time being in America and training in such warm weather conditions. I will attach a few photos so you can see what it was like! I write to give thanks for my grant of £40 towards the Junior European Orienteering Cup in Austria which took place in September. The competition gave me good experience competing at an international level, and motivated my training for the winter. It also gave me a big confidence boost in knowing that I have improved hugely over the past year, mainly in my running ability. 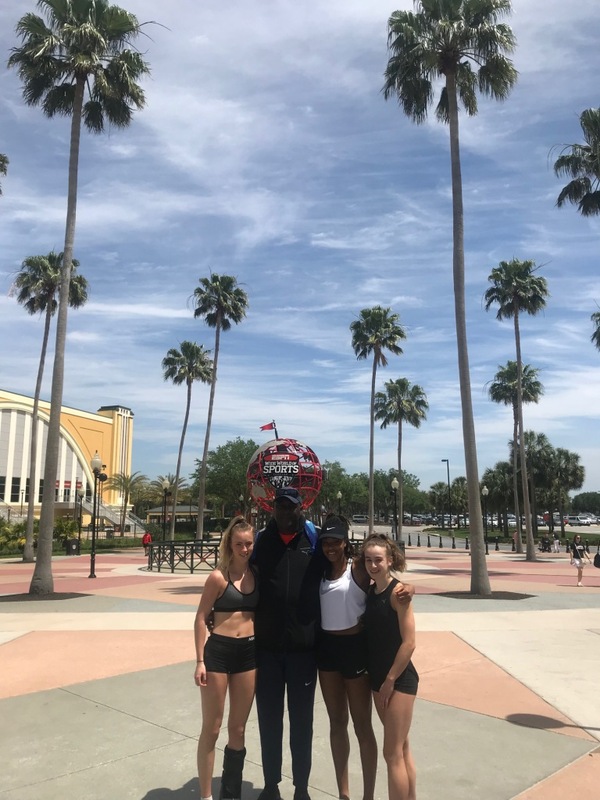 The support of the John Taylor Foundation has helped me compete at this championships and thus work towards my goal – the Junior World Championships next July in Hungary. This July after three sets of selection races I flew to Finland to represent Great Britain at the Junior World Orienteering Championships (JWOC). I felt prepared, having been to JWOC 2016 in Switzerland but also nervous as it was my last competition as a junior. Flying out a few days before races started gave me a chance to train in relevant terrain and get ready for my first race. This year I didn’t quite make it into the A final after middle qualification having had a steady run but being slightly too hesitant. I changed tactics going into the sprint race and tried to attack it more. I was rewarded with my best result of the week, finishing in 27th out of a field of over 140 athletes. The next race was the long distance and I had an amazing time racing through Scandinavian forest against the best juniors in the world finishing inside the top half of results. Finally I ran the middle leg in the relay enjoying the head to head racing and was pleased to catch some teams. JWOC 2017 was an amazing end to junior racing and I am very grateful to the John Taylor Foundation for supporting me. I have learnt lots about racing at a high level and really enjoyed spending the week with such an inspiring and committed team. 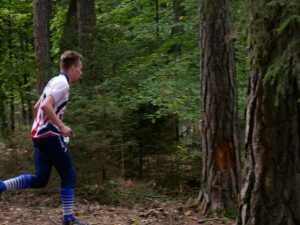 My main aim for 2017 was to be selected to represent Great Britain at the European Youth Orienteering Championships (EYOC) at U18 level. 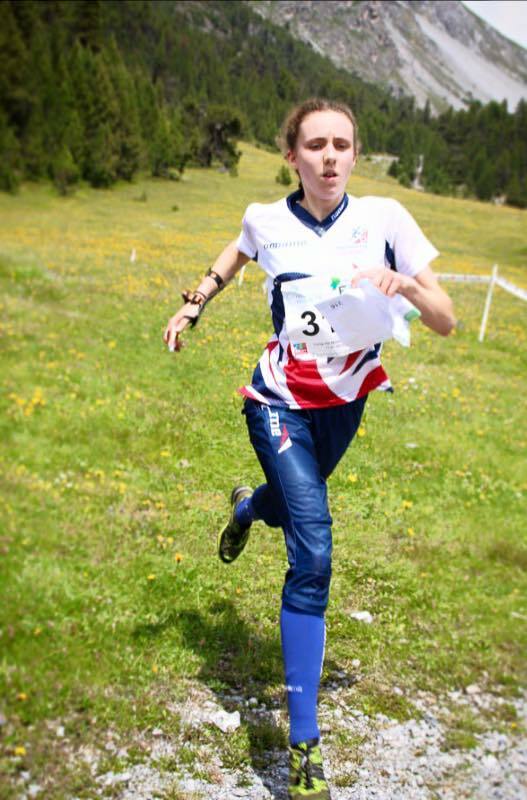 I not only managed to achieve this but I was also selected to compete at the Junior World Orienteering Championships (JWOC) at U20. 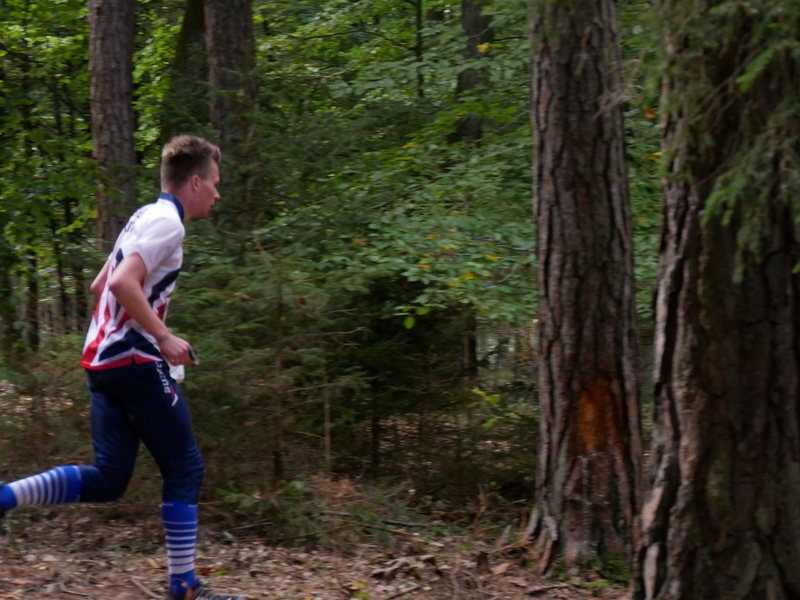 After spending a few days training in Finland for JWOC it was finally time to compete. The first race was a qualification race for the middle distance in which I was delighted to comfortably secure a place in the final, qualifying in the 8th fastest time of 150 athletes. 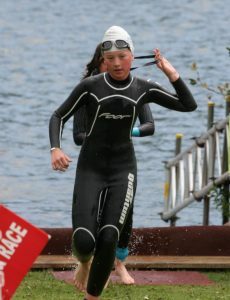 I then went on to secure 19th position in the final which I was happy with but I know I can improve on in future years. In the long distance race I ran strongly to finish in 20th which was much better than I had anticipated as I knew I had not had the perfect race. I had a disappointing run in the relay competition but it was enough to secure Great Britain 6th place in the team competition. 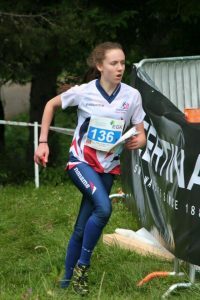 The experience of competing against the best junior orienteers in the world was inspiring and has given me the motivation to keep improving to achieve better results next year. 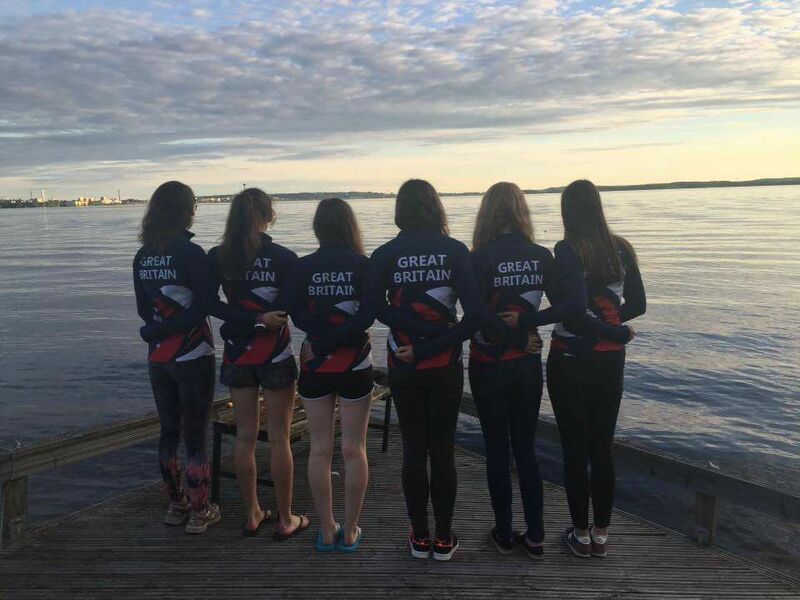 The remainder of the Summer holidays I am spending training and competing in Sweden, Scotland and Hungary. 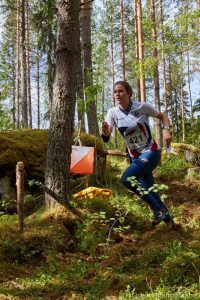 JWOC 2018 is to be held in Hungary so this training will be especially relevant in preparing for this competition. I am also looking forward to racing at the Junior European Cup in Austria in September. Firstly, thank you so much for the funding to go to London for the national cross country Championships, it really made a difference. I went down to the Nationals at Parliament hill on Friday the 23rd of February (which also happened to be my Birthday). We went out for a meal at a nice little Indian restaurant in Edgeware, then headed back nice an early so I could get some rest for the next day. It was an early start for me, 5:30am, not much different to usual but still early. I had the usual breakfast (my speciality pre race breakfast) then headed out about 8:30 with some of the other members of the team to the tube station. A quick tube ride to Hampstead heath, a 15 minute walk and we were at Parliament Hill. My Race was at 11:00am so a walk of the course, and a warm up then It was race time! I was joined by many teammates at the start line, we wished each other good luck and stood poised anxiously waiting for the starting gun to go off! Within about 200m I was in the top 30, I just focused for the first half a mile on getting in to my own rhythm and then began the real work. My aim then was to keep working through the crowd. I got in to the top 15 at just past half way around the course. I moved around 10th and 12th up until the last 1km where I gave a big push on in to 7th place. I took a bit of a wrong footing in the last 600m which meant me dropping back in to 9th then powered back through to have a clear finish of 8th. I was really happy with my race I’ve had a couple minor set backs this year, some couldn’t have been helped others just needed me to dig deeper. I’m looking forward to my future races this year and hopefully many more years to follow. 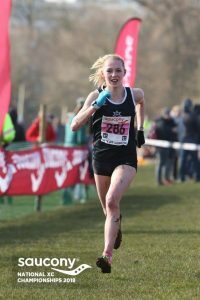 Once again Thank you so much for the funding for me to get to the National XC this year, I really think what you are doing as a charity is great for young Athletes like me and genuinely makes a difference. Following your sponsorship earlier in the year, as the season is now over it’s an appropriate time to give you an update on how things have gone for me. 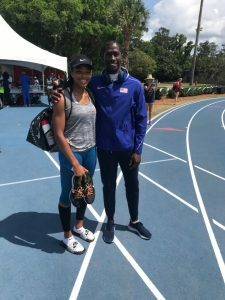 I had set myself some steep targets for my first year in the Under 20 Age Group, and having not met them, made me learn more about myself and my technique. I consider this year to have helped my development within sport as I have not won as many competitions as I did in the past, making me reflect more on my technical performance, and how it can be improved with help from my coach. This can only put me in a better position for next year. 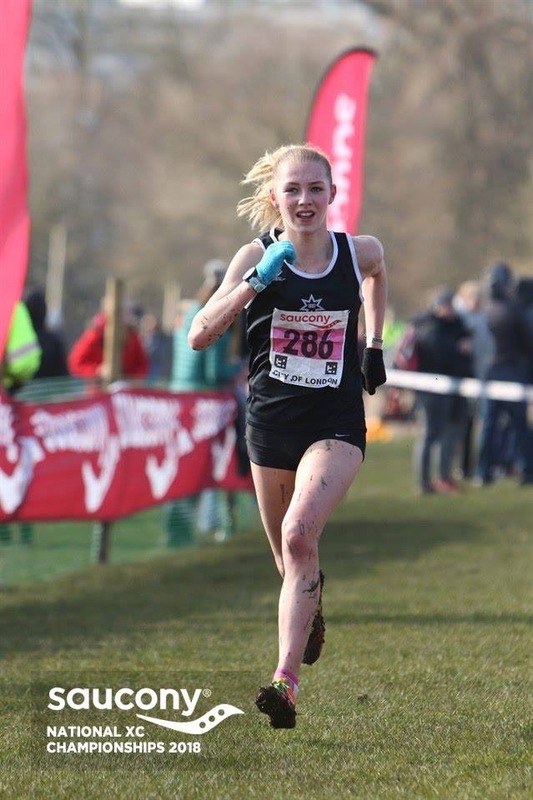 I competed for my new club Shaftsbury Barnet Harriers, which was also a learning curve for me. I really enjoyed the experience, from the travelling to meeting new people and competing at a much higher level. Overall, I am happy with my performance, having gained a Seasons Best of 47.46m for hammer at the new weight for me. I also took part in shot competitions gaining a SB of 9.80m. I am getting back into winter training now concentrating on a lot of strength and stamina work to build my fitness level up before the 2018 season. This will be mixed with work on my technique so this does not drop, but steadily progresses. My targets for next year will still be set high with the main one being to achieve a PB of over 50m, which will get me back into the top level within Power of 10. I am currently ranked 20th in the UK, and the top level has 15 athletes, so this is a very realistic target for me to meet. 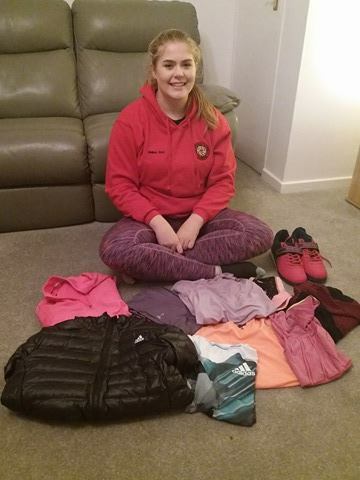 Your kind grant of vouchers has enabled me to buy a variety of new training kit, and Weight Lifting shoes, which have been well used throughout the season and will see me through the winter too. I have included a photo below of the items. Thank you for taking the time to read my update, and for supporting me. I will encourage my Dad to get things organised to walk the Forth Road Bridge to raise some money for you too. 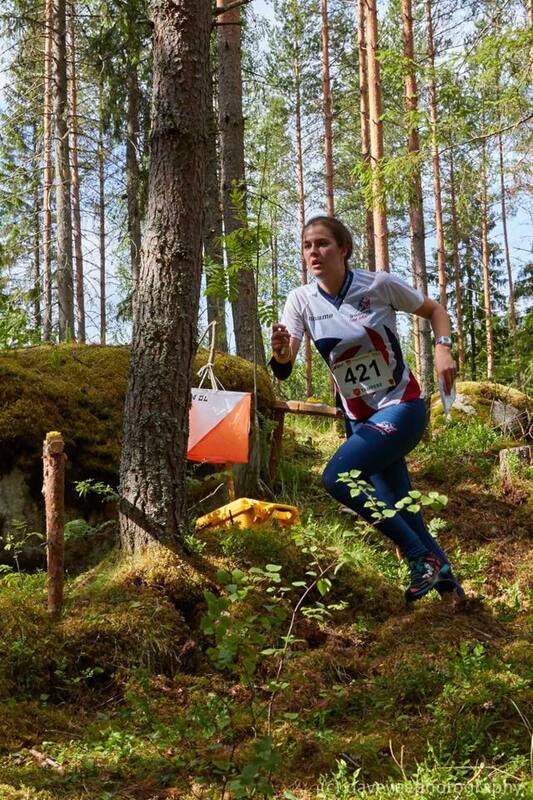 After making my debut at the Junior World Orienteering Championships (JWOC) last year in Norway (and struggling with an ankle injury) I was hoping to build on my previous performances at this years’ competition in the Engadin valley, Switzerland (10th-15th July). After the 6 selection races throughout the spring, I was selected for the Middle distance, Long distance and Relay B team. This year, as I still have 3 more years left in the W20 age category, the focus was again on experience and I can safely say that I have a lot to take away from it (both positives and negatives). I would like to thank the John Taylor foundation for their generous support to fund this opportunity! The team arrived on the 6th July and spent the following days on the training and model maps gradually becoming more confident in the terrain. It was also important to acclimatise to the altitude and heat, but without overdoing it to ensure we arrived at the races feeling physically fresh. Nutrition and hydration were a key focus, with the use of Beet-it shots to help oxygen uptake when racing at higher altitudes, and hydration tablets. Every morning our hydration score was recorded using an osmo-testing machine, with the aim to optimise it for our race days. 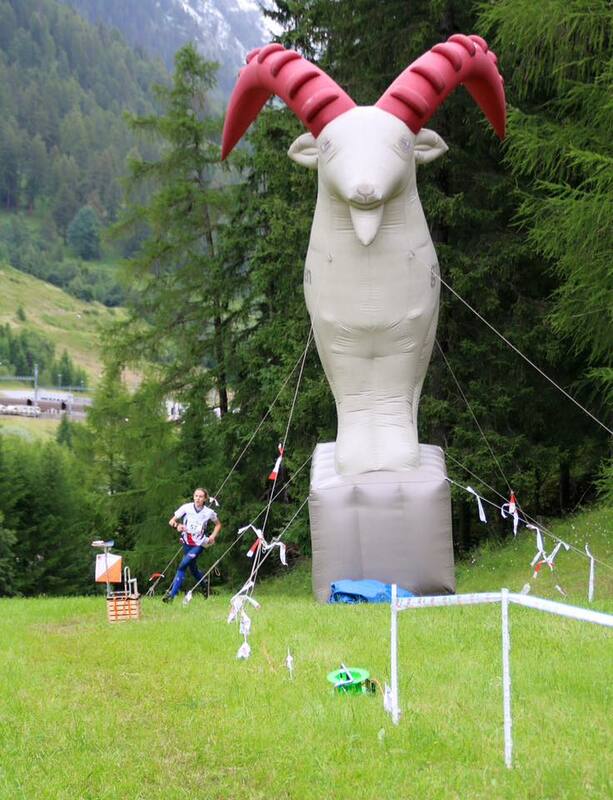 My first race was the Long distance at Val Mustair. I was quite tense whilst waiting to start. This was the race that I had been waiting and preparing for ever since arriving 4 days ago, and in my mind it was the race that I had focussed on throughout much of my training, as I believed it was my best chance at a top 20 position. Having not run the Long last year, I was also taking a step into the unknown and could not be sure of what to expect. The first 4 controls were in a technical semi open area. I started with a safe route choice to #1, trying to get into the race and settle my nerves. You can’t win a race on the first leg but you can definitely lose it, so I was relieved to find the first control with no major difficulties. I was in 40th position here, but it is all so close and by managing to stay pretty clean through the technical area I moved up to 6th position at the first radio control #4 (and ahead of the eventual winner!). The two legs after this were the crucial long legs, and were my downfall. Having lost confidence in my direction on the steep and rough descent on 4-5, I misidentified the path bend I was and entered the forest in the wrong direction. This caused a mistake that dropped me down to 52nd and played on my mind when making the route choice to #6. I changed from my safe path route which I had previously thought was obvious, in favour of an “all or nothing” straight route. 2 more minutes lost. The other long leg went better for me, catching 10 places and getting 4th fastest split which showed that my fitness was there after all, but I was scrappy around some controls after this and struggling to maintain concentration, so finished exhausted and disappointed in 47th position. A rest day followed to pick ourselves up for the next race: the Middle distance qualification in Ftan. 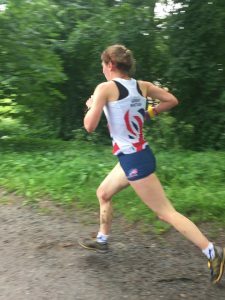 I focussed on the positives: I had been in the mix for podium at #4 which was effectively half way through a middle distance length course and clearly had the fitness to carry me through. All I needed to do was focus on being clean. Top 20 in each heat qualify for the A final, which was my main target. Last year I had missed out on qualification by 5 seconds and I wanted to safely qualify this year. I took safe routes with clear attack points and double checked everything. It was intense all the way round as I was so terrified of making a mistake that I would regret, but each control ticked off safely was a relief and it was not until the final control that I could finally relax and run in happily, knowing that I had succeeded in my aim to be clean. It had not felt fast as I had been safe, but clearly paid off as I finished 2nd in my heat (Heat3), only beaten by Simona Aebersold, who came out of JWOC with 3 Gold medals. everyone would step up the pace a level in the final. I started in a blur and nailed the first control. 1-2 was the most technical leg on the course, in a complex contoured area that none of us were really expecting (as there were no old maps of the area to prepare from). However I did not take time to look at this before running off, succumbing to the pressure I had put on myself for the final. I began to lose contact with the map, leading to a very large time loss. It took me until #3 to clear my mind, and again try to focus on bringing some positives out of the race. I lost a small amount of time on 2 more controls, and ran in to 50th position, not even able to appreciate the giant 4m high inflatable Capricorn that was the feature of the last control in my disappointment. 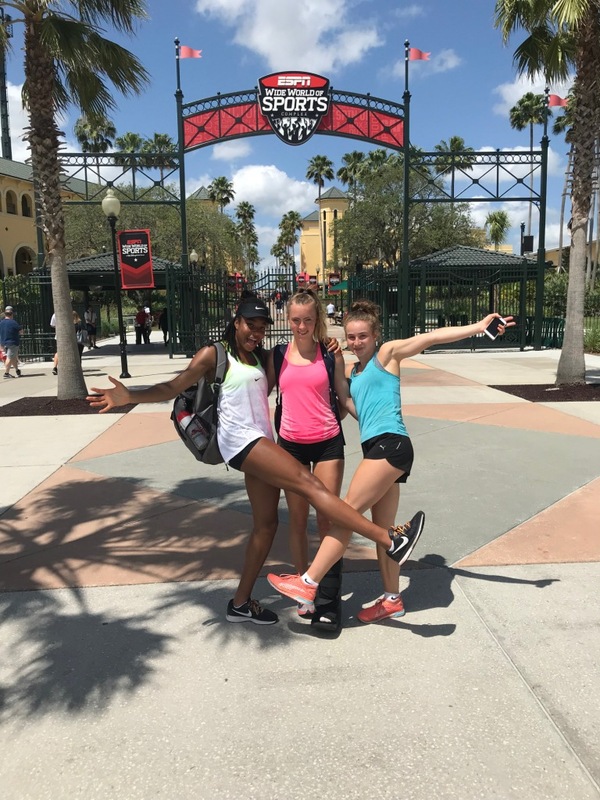 Of the 4 GB girls in the A final, 3 of us lost significant time on #2, and the other, Meg, finished in 4th position, matching the GB record highest women’s performance. It was nice to have something to celebrate, and GB were definitely the most vocal supporters at the prize giving ceremony that evening. 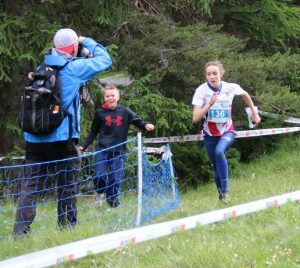 I was running 1st leg for the B team in the relay the next day at Tarasp. My job was to have a clean run so that we could be a backup if the A team made a mistake. I started in my allocated position at the back of the pack and gradually moved up on the run-out. I took care on the first control on a forested slope and nailed it, punching in second just behind Megan! A lot of the pack may have had a slightly harder or longer gaffle here and many teams (including the Swiss A team) lost time, but Meg and I emerged from the chaos in the lead and with only a small pack of about 5 other countries chasing us. The feeling of the two of us leading the world was amazing, but we had a job to do. We briefly checked our next control codes and were on different gaffles so put our heads down and focussed. The small pack were together for most of the middle of the race. I fell to the back when I was too high on #5, then the gaffles split to #6 and I was running alone. At the spectator run-through I was in 3rd behind the Swiss and French runners. A steep hill out of the arena allowed me to catch the French in 2nd, but then the navigation started again and I forgot about positions and focussed. Having had such a good run up to that point, the only disaster would be to make a mistake in the last loop and lose chunks of time. 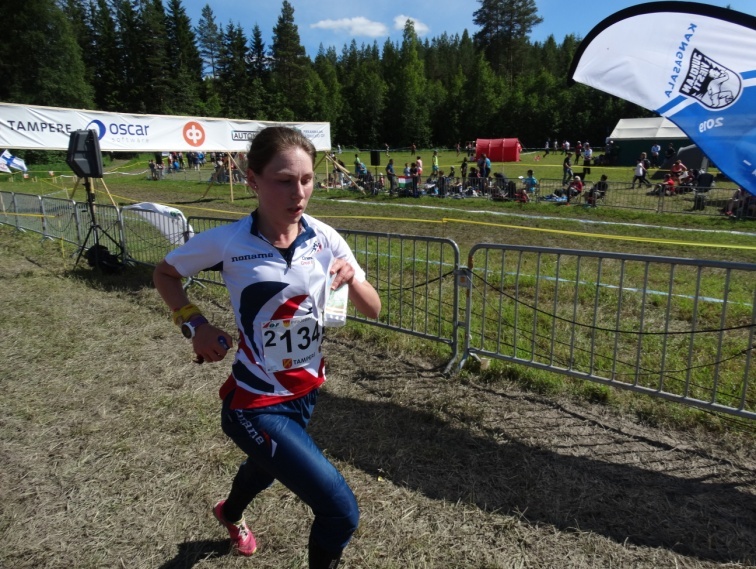 Luckily the French lost some time behind me and I stayed ahead, sprinting in to hand over to Jenny Ricketts in 2nd position just 8 seconds down on Valerie Aebischer from the Swiss B team. 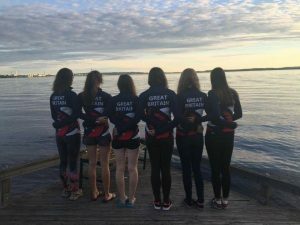 The GB Women’s A team went on to finish in 5th which is the best ever GB women’s relay team result, and the B team backed it up in 16th, also 5th out of all the “B” teams to finish. It is probably my best performance, alongside GB’s best ever performance, and gives me confidence going into next year. 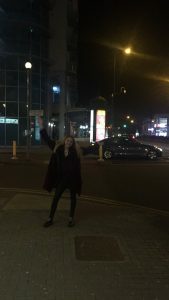 Whilst I may not have delivered the individual final results that I wanted, I still showed that I have potential to perform well and have learnt a lot about the psychological pressures and how to overcome them. The only thing standing in the way of a top 10 or podium next year is my mentality, and I already feel much better prepared after this JWOC! In addition to the John Taylor foundation, a particular shout out goes to my super-supportive family who have helped in so many ways that I cannot even begin to describe. I love this picture of my brother David cheering me in on the relay, looking happier than I do myself!!!! Full details, including all maps, GPS tracking, videos/live TV feed, photos and results of all the races can be found at the website http://www.jwoc2016.ch/ . 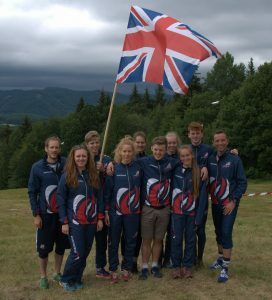 The European Youth Orienteering Championships (EYOC) 2017 was held in Banska Bystrica, a region of Slovakia. 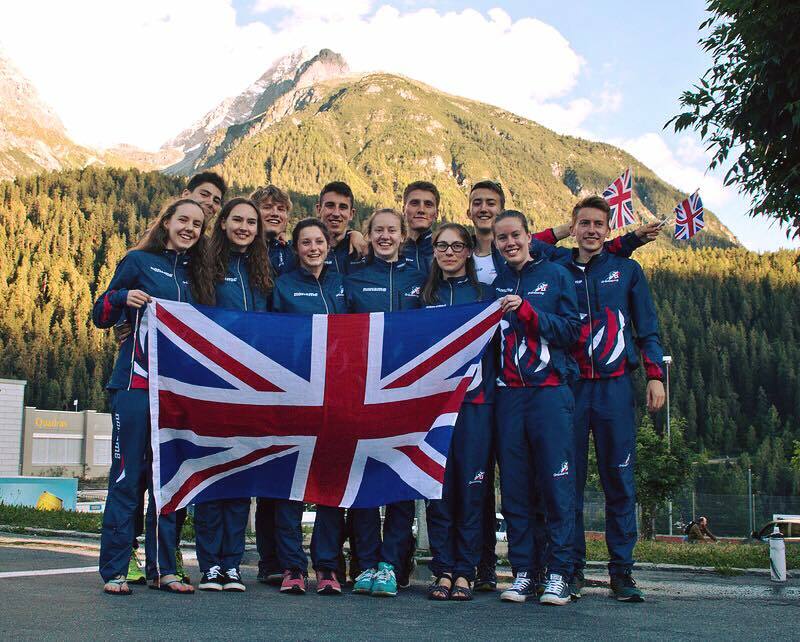 After competing in six selection races earlier in spring, I was selected to represent Great Britain along with six other British athletes. The team flew out on the 28th June 2017, two days before the first race in order to attend the model event. The model event is on similar areas to the races which allows you to familiarise yourself with the terrain before competing. Unfortunately, my last A level exam was on the 29th. This meant I had to jump in a car to the airport as soon as my physics exam finished. Luckily my parents offered to come with me to hire a car and drive me to the accommodation from Warsaw airport. I managed to get a few hours sleep before waking up on the morning of the sprint race. The sprint race was held in the town of Banska Stiavanca. My preparation for this race was not ideal however I tried to put that behind me and focus on the race. The start of the race was quite high up on one side of the valley so the first half of the race was mostly spent running downhill along dirt tracks and paths between people’s gardens. This meant the navigation was quite simple but because of the fast pace route choice had to be made very quickly. The second half was on the other side of the valley which was very steep so there were several sets of old wooden stairs which made running tricky. 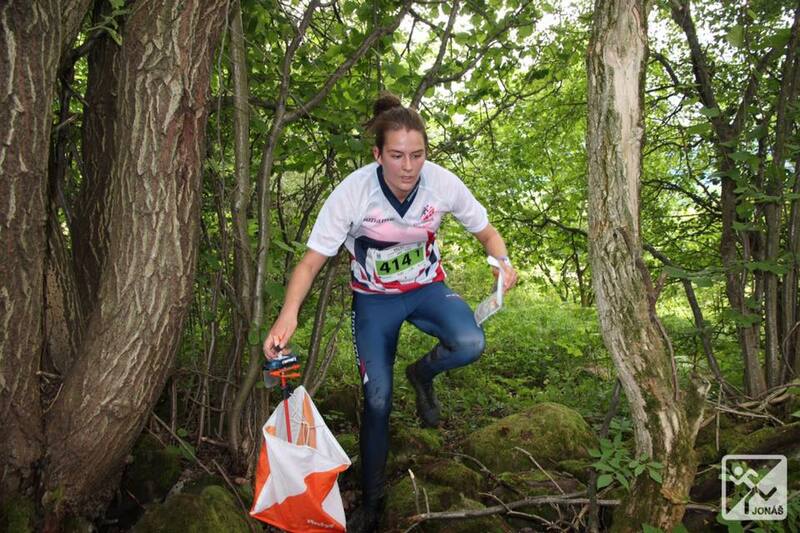 I finished first female Brit though in 30th position. The next day was the long distance race. Having missed the model event, this was my first time in the terrain so I wasn’t sure what to expect. I felt the first part of my race was a little hesitant and I wasn’t finding the best lines through the terrain. This lead to several small time losses which added up. I settled into the race more for the second half. I finished in 30th which was an improvement on last year’s performance however I still feel that with more time for better preparation I could have had a cleaner race. The last day was the relay. I was running second leg. The area was the same as the previous day so I felt more confident. My first leg runner lost a lot of time to the leaders so I set off with the aim to have a clean run and climb up as many positions as possible. I ticked off the first few controls nicely then there was one leg straight up a very steep slope. I caught sight of the next girls just ahead so pushed up the hill to catch them. I kept focus for the next few legs and managed to get away from them. I climbed 5 positions and was 5th fastest on 2nd leg of the relay which I was happy with. 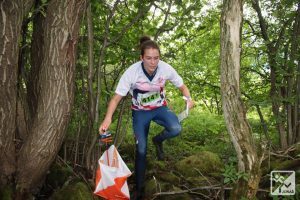 EYOC was another great opportunity to gain experience competing in foreign terrain against the best orienteers in my age group in Europe. I’d like to thank the John Taylor Foundation for financially supporting me so that I can continue my junior orienteering career. I would like to thank you for the money that the John Taylor Foundation has provided me with, it is very nice to receive support. It has been a busy year as I have concentrated my efforts on preparing for my second year in Triathlon. This year I have raced in the South West TRISTAR3 series which is longer distances compared to the races I did last year in TRISTAR2. The season has gone very well and I am currently 4th in the South West and I have been selected to be part of the South West Team to compete in the National Championships in Strathclyde in September. 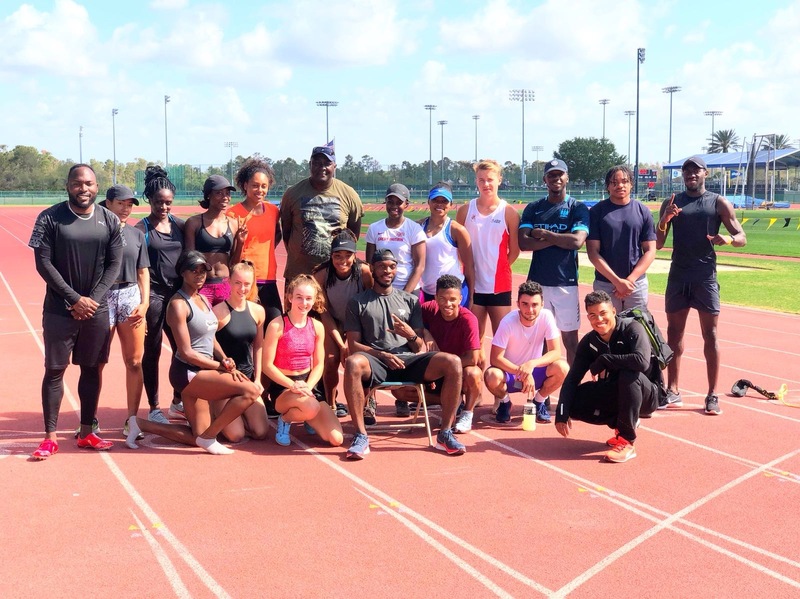 The money you have provided has allowed me to attend a number of training sessions and will also help me prepare for the nationals by attending the South West residential camp. I feel my confidence and determination has grown to succeed has grown whilst allowing me to have great fun with the other children in the race series. Without your support I would not have been able to undertake all these training sessions and would not have achieved what I have and for this I am most grateful. I will update you at the end of the season to tell you how I got on at Strathclyde. My focus will then change to the swimming competition season for the winter and my training for relay swimming the English channel with 4 of my swim team mates next year. Once again thank you for the support this year.